In life, on several occasions, the real-world situation unfolds in an entirely different manner than what we are advised or we envision it would. We are taught to be leaders, be confident and be certain of every action we take. Of the several traits and qualities of being a competent leader, we are taught to be fearless. However, the fear of failure is an all-pervasive part of the human psyche. Failure is defined as the ‘lack of success’. Lack of which induces a feeling of paucity, in turn further inducing the ‘fear of failure’ in the future endeavours. Fear can adversely affect one’s ability to do things, confidence and willingness to face any challenges that arise. We are afraid of deploying any ingenious methods, stemming out of the reluctance of taking even minor risks. We fear not only of the outcomes, but also of the deemed image; especially when one is at a leadership position. Second, we must not be risk-aversive. Once we are surrounded by those who are more accepting of failure, we can encourage and pursue taking risks early. Fail hard, and fail fast. 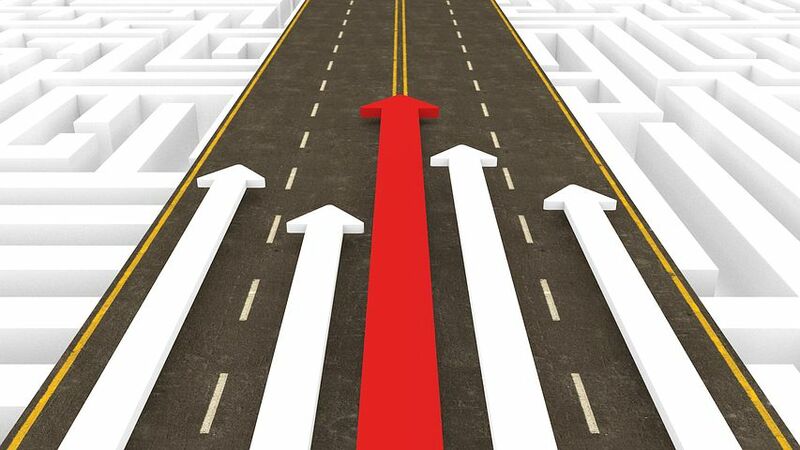 By taking risks early on, we contrive plans to embrace larger repercussions, and the confidence bolstered in those unconventional decisions, results in greater achievement. Now taking risk not always commensurates to the need of the hour. 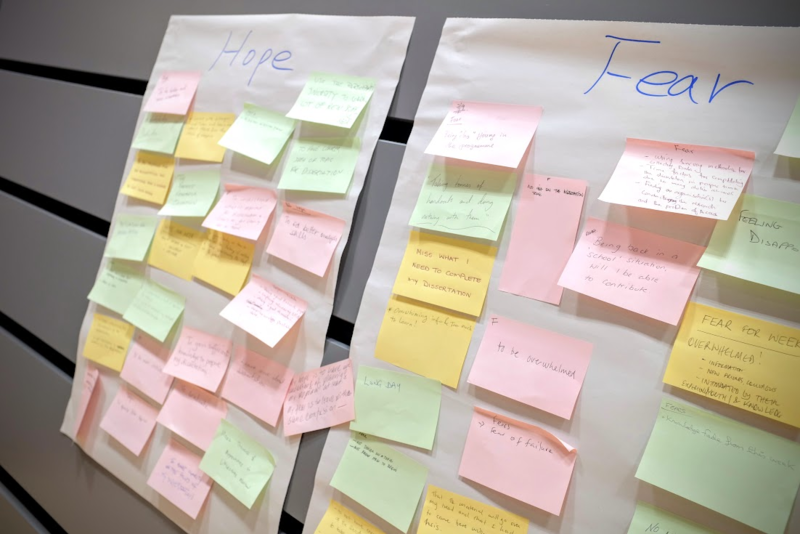 Planning the ‘next step’ and thinking ahead is vital. Risks come with only a chance of success, and sometimes the odds are not in our favor. We can instead redirect our efforts on what to do next. We encourage this outlook to prevent plateauing personal growth with negative emotion, which also has a high chance of affecting the team’s performance and our future level of contribution. Do not let fear come in your way to advance your studies. Talk to our advisor today about the courses offered online and get your customised study-plan. Demand for healthcare services has unobtrusively risen over a period of time now and this growth will continue into the future. The demand for services translates into ever-increasing demand for healthcare workers – including nurses, physicians, allied health professionals, technologists and coders, leaders, and support personnel. Like any other industry, it’s an upward trend in the long term, for the healthcare sector employment. However, the healthcare industry does not seem to be prepared enough to cater to this increasing workforce demand. Increasing demand has been accompanied by a growing number of unfilled jobs, a serious challenge that can be perceived in the federal labor data and on the digital job boards of hospitals and health systems, where hundreds and even thousands of open jobs are posted. Both growth trends and growth challenges will continue into 2018 and beyond. The amount of money that is projected to be spent on healthcare in the future, is cogent indicator of rising demand for healthcare services and healthcare workers. More than doubling from 2010 to 2025, when it reaches beyond $55 trillion, expenditures include payments for all healthcare costs, including pharmaceuticals, equipment and technology. However, labor constitutes the single greatest cost for most healthcare organisations. This growing trend, has translated into a flurry of jobs openings in the healthcare sector. Even in 2017, despite the continued debate over the future of healthcare policy, the healthcare industry has added an average of 24,000 jobs each month. That’s vigorous growth in any industry. Employment growth is expected to continue for the foreseeable future. While healthcare job growth will ebb and flow in the future, the trajectory of growth has been consistently upward. HOW CAN YOU FIT IN THE DEMAND SUPPLY GAP? While job openings have ascended steadily over the years, the job hires remained relatively static. 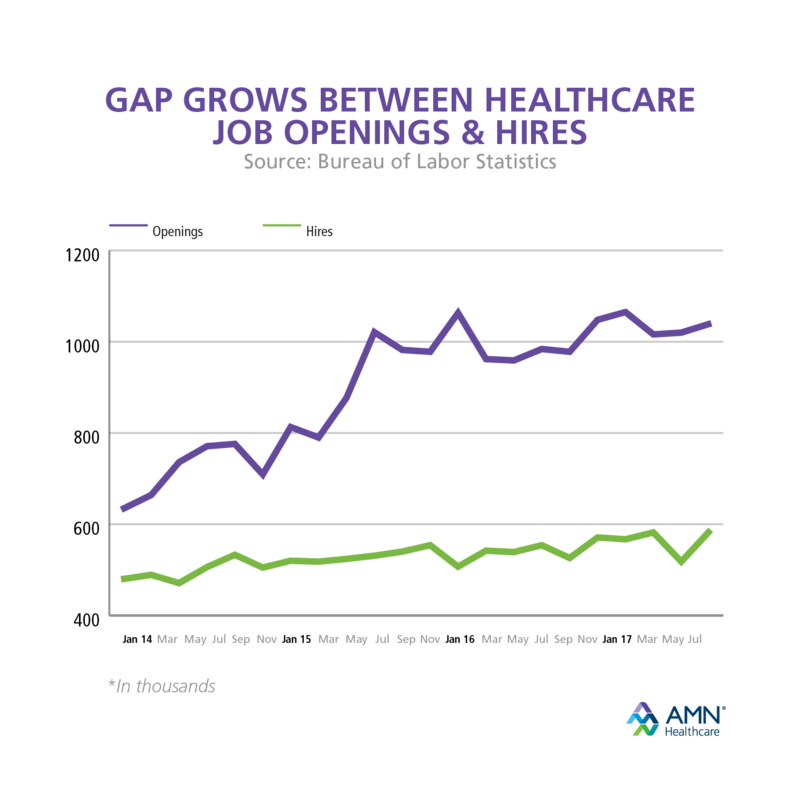 Traditionally openings have outpaced job hires in healthcare and the gap between openings and hires has been widening rapidly since 2014. This swelling gap – which represents a cumulative number of unfilled jobs – shows the challenges that healthcare providers face in finding enough practitioners and support personnel to fill today’s job openings. Other data reveals that the problem of high demand for healthcare workers, and low supply of those workers, may continue well into the future. 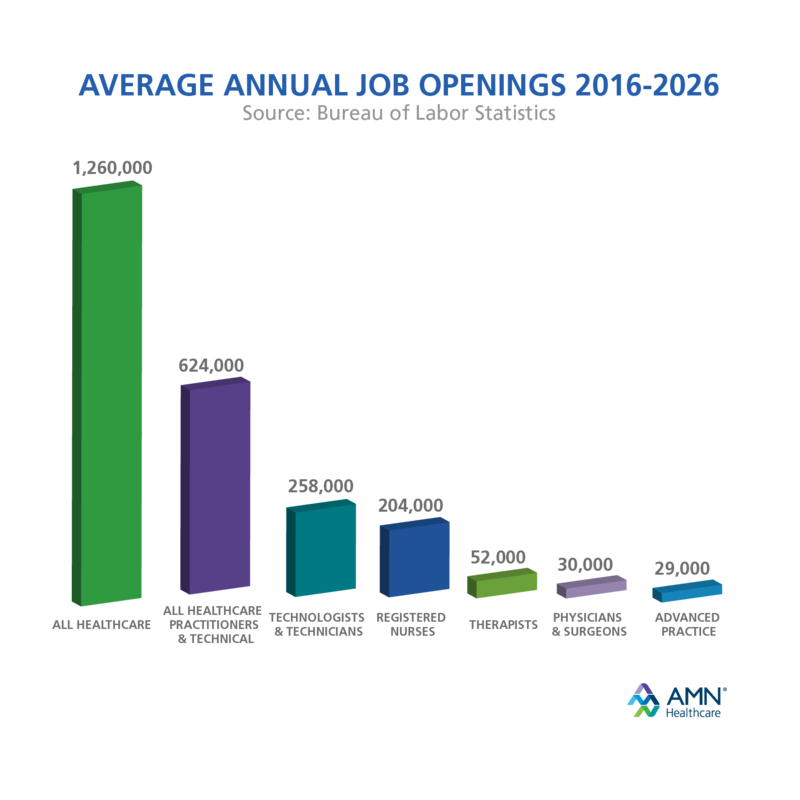 The statistics on the projected future job openings provides the healthcare providers the crucial insight on the demand for healthcare services and healthcare professionals. These are the jobs that healthcare providers will need to fill in the future. 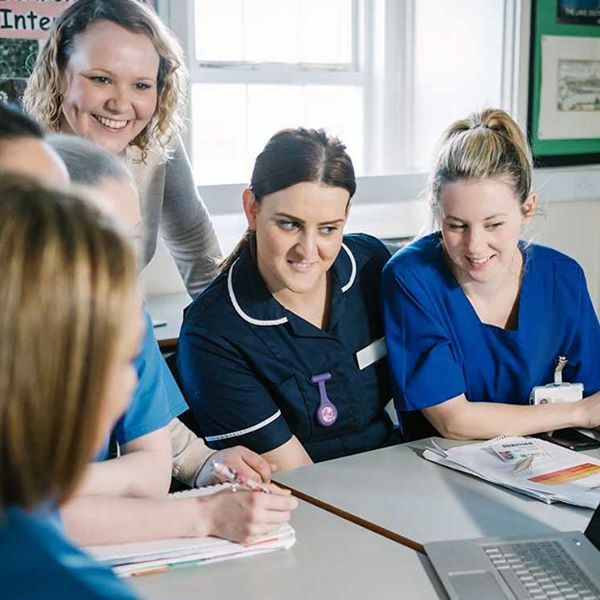 At Robert Kennedy College, we offer Online MBA International Healthcare Management Programme, in exclusive partnership with University of Cumbria, UK. Recognise the workforce shortage in the healthcare sector and be there where there are abundant jobs. The MBA IHM could prove be the key to your success and better future. Click here to receive the course catalogue and get a chance for free trial offers. Normally I would have published this weekly blog couple of days ago; so what different happened this time?….. I did Procrastinate! Prof Pychyl says procrastination is making the choice to avoid doing something, even though we know this will cost us in the long run. 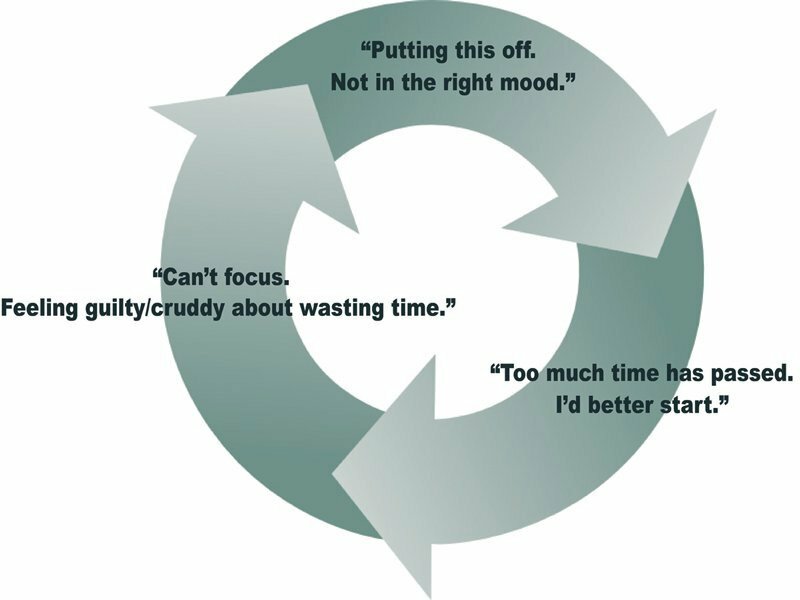 He says it is different from intentionally delaying doing something, and it is not a problem of time management, but a failure to control our emotions. The problem is our brains are programmed to procrastinate. “When we procrastinate, we are trying to improve our mood by avoiding doing something that feels unpleasant to us,” he says. Lecturers suffer from procrastination too, with academic Twitter feeds talking about “writing guilt” and the battle between marking papers and watching Netflix. 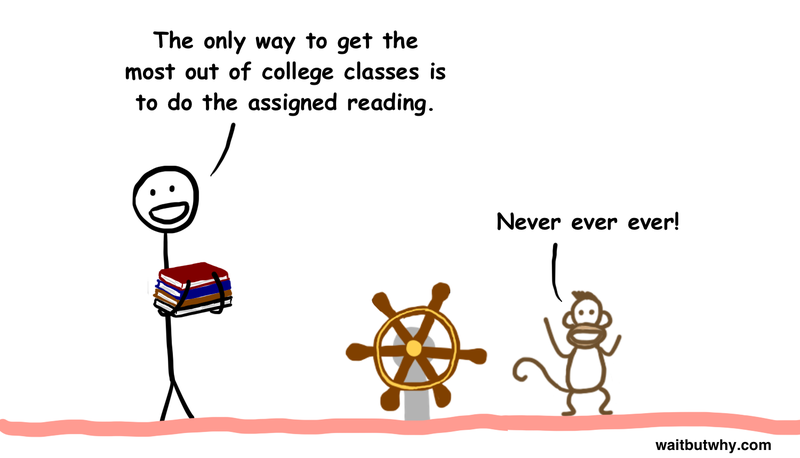 With more people studying online, procrastination is a greater problem than ever before. 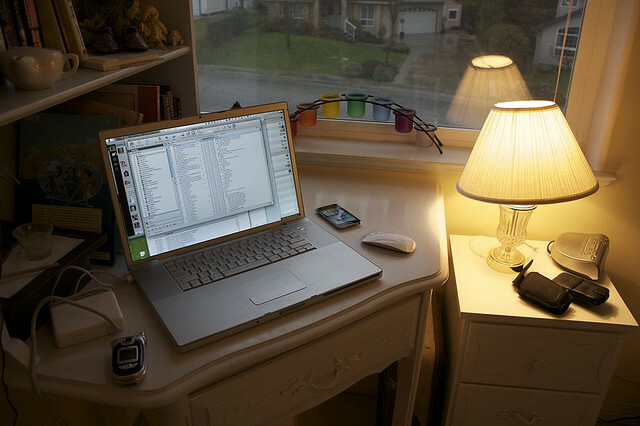 As a student studying online courses, we do postpone our assignments and research papers and even studying for exams. So what can we do to avoid Procrastination? I don’t punish myself for not starting earlier…. And most importantly, I remind myself that all great people Do Procrastinate – from Steve Jobs to Frank Lloyd to Bill Clinton. I interestingly, also found in a study that procrastination is in fact not that bad, as the procrastinators’ ideas were 28 percent more creative. Do not procrastinate about your decision to study Masters. Find out more about the MBA, MSc, MA and LLMs programmes that we offer; get our catalogue now. It’s a competitive world today and education is a key to success for many. Therefore, choosing a promising degree program is vital to ensure a promising career. As a prospective student, what factors affect your decision of pursuing masters and choice of the course? I studied this survey by mba.com Prospective Students Survey Report* and found it interesting in understanding the key aspects of candidate behaviors and preferences in selection of a graduate business programme. The Survey Report explores the business school pipeline from the prospective students’ point of view, analyzing motivations, intended career outcomes, and program choices shared by 10,017 prospective students in 2015. Two-thirds of prospective students are determined to get into the best school possible, so quality and reputation of program are top school selection factors. Prospective students weigh the quality and reputation of a program more heavily than they do financial aspects; however, total costs are among the top three factors they consider. 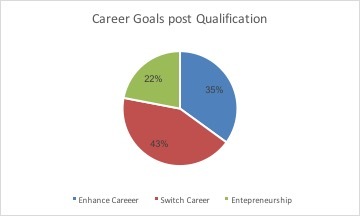 Students deciding to enroll in a graduate business program typically have three general career goals in mind for their postgraduate employment: 1) continue on their current career path, 2) switch careers, or 3) start a business. Three in four (77%) prospective students first considered business school because of a special event or trigger. The most common event is when a candidate starts a search for a new job and realizes he or she lacks the necessary knowledge, skills, or abilities to be competitive for the position they seek. At RKC we bring you the best of both worlds, flexibility of online learning with the benefits of traditional learning environment and networking. Begin the journey of your Masters here and enrol for you dream Online MBA qualification. *The mba.com Prospective Students Survey is a product of the Graduate Management Admission Council® (GMAC®), a global nonprofit education organization of leading graduate business schools and the owner of the Graduate Management Admission Test® (GMAT®). Bernadette O’Neill (Bernie) was born in a small farming community in Ireland. In the mid-1980s she volunteered to work in Africa for a development organization and knew that she had found her niche in life. Since then she has worked for development organizations in many countries in Africa and Asia, settling in Cambodia in the early 1990’s where she met her husband. 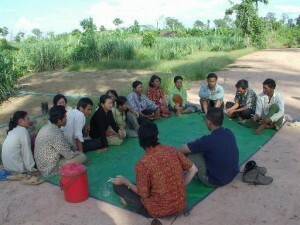 In 2007, she became Country Director for ZOA, a Dutch NGO. Kelly Boler: What do you do as a Country Director? Bernadette O’Neill: As Country Director, I am responsible for all the work of ZOA in Cambodia. Our work concentrates on supporting the resettlement of families previously displaced by civil strife and poverty. As these families mainly settle in remote rural areas, our work focuses around agriculture. A great challenge is climate change which is causing hardship to farmers as the rainfall patterns continue to be erratic so water management and other vulnerability mitigation measures are an important part of our work. To support our projects with these newly settled families, I have to prepare project proposals to donors to access funds, recruit and train staff to implement the projects, monitor the works in progress and prepare reports to all stakeholders. The most interesting part of the work is the regular visits to the beneficiary groups where is it rewarding to see the positive changes in their livelihoods brought about by our work with them. K.B. What drew you to do your degree at RKC? B.O. It was sort of accidental!! I had been thinking for some time of pursuing a degree in a field more relevant to my work than my accounting background and some friends suggested an MBA. I did not feel that an MBA was what I wanted but then came across an advertisement through the internet about the RKC program for the MBA in Leadership and Sustainability. It was these two words that attracted me so I applied and was accepted for the program – it was a great choice. I am not particularly religious but sometimes I feel there is some divine guidance to our lives and what I call “accidental” can often be someone guiding us in the right direction. K.B. Have you done your residency? B.O. I attended the Residency in Cumbria at the end of 2011. What a wonderful experience! The anticipation beforehand of meeting our “virtual” colleagues in person was rewarded with some animated discussions and sharing of experiences. It was kind of strange walking into a college campus after an absence of over 25 years but the professors were brilliant and the program was stimulating. K.B. Do you have suggestions for students thinking about their upcoming residencies? B.O. For students planning their residency, I think it is important to “blank out” that week; don’t come cluttered with other things on your mind (either work, personal or other RKC courses). Normally you will take your residency in the middle of another course so make sure you are up to date with that course work and then forget about it for a week. This is possible because you will be given an extra week’s extension if any exams are planned around your residency. Coming with your mind free will give you more time for social interaction with your colleagues which is as rewarding as the discussions at the University. K.B. What are your plans for your career post-graduation, and how do you think this degree or what you have learned effect it? B.O. I will continue to work for development projects in Cambodia but now we have just phased out the ZOA program (as ZOA focuses on countries emerging from conflict and now Cambodia is past that stage), so I am taking a break for now but doing short term consultancies where they interest me. I did not really do this degree to improve my career. 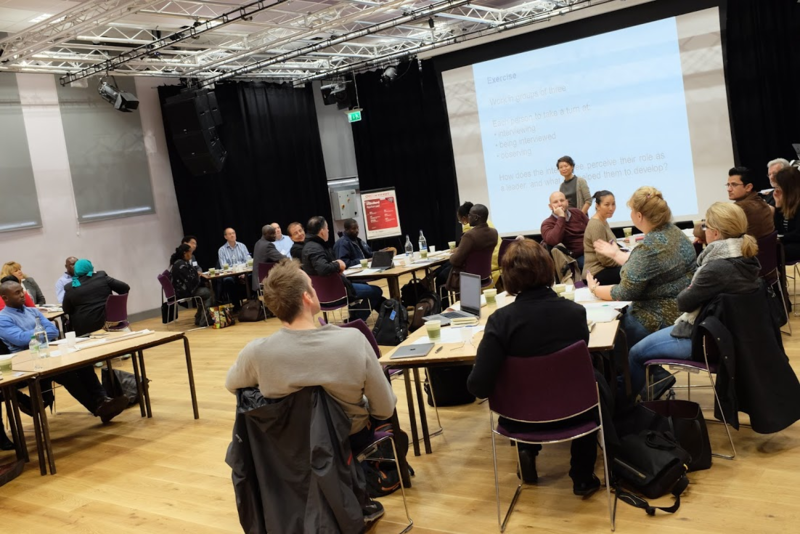 I did it for the joy of just learning again – although I had always said that we learn more from practice than from study, it was most interesting to see how our practical knowledge is supported by various academic studies. Nevertheless it certainly enhances my reputation among my colleagues and future employers. Doing this MBA has also enhanced my capacity for research and showed me how much we can learn from previous research into subjects of interest to us. K.B. What has been the best part of your experience doing this online degree? B.O. It has been such fun over the past two years that it is difficult to say what was the best part. Certainly exploring new subjects was stimulating but probably the best part was the interaction with other students and tutors. I now have a great number of additional friends all over the world, many of whom I will continue to keep in touch with. K.B. What do you enjoy doing? Hobbies, pastimes? B.O. When I was younger I loved playing all kinds of sports – hurling (a unique Irish game), football, squash and running. Now I am a bit older I focus more on long walks and watching other (younger) people playing these sports. I love reading and get through a few books a day on my days off if I am alone – but I live in such a lovely place (Cambodia) where people are always dropping around for a chat that time alone is rare but these discussions with family, friends and neighbors are always stimulating. Apart from these things, I love travel – whether by bike, car, train, boat or airplane – and meeting new people. K.B. What is your favorite local food? B.O. There is such a range of great food in Cambodia that it is difficult to say which is my favorite. Because I love to eat a big breakfast and then just top up a bit throughout the day, I could say that the best start for me is a big plate of rice topped with chicken liver, red chilies, garlic and lemons, washed down with a nice beef soup and a strong coffee. Maybe not everybody’s ideal start to the day but if I fill up with that I can go the whole day without anything else if necessary (until evening time of course, when the need for a beer sets in! – and my favorite snack with the evening beer is fried frogs in garlic sauce). K.B. What is the perfect day? B.O. A perfect day is of course a day when at the end of it I feel satisfied that I have achieved what I set out to do – sometimes this may relate to work (as in submitting a proposal within the deadline) or personal like sorting out family issues. K.B. What is the perfect working day? B.O. I love a day with a mixture of things to do, not just doing the same thing for the whole day – fortunately for me, most of my days are highly varied. The perfect working day includes some travel, meeting with project staff and target groups in their villages and feeling at the end of the day that I have achieved something. K.B. Are you reading anything right now? B.O. Since I finished the research for my dissertation at the end of January, I have taken a bit of a break from serious reading as I read so much leading up to that. So my current books are more light reading – some interesting stories of people’s lives around the world (e.g. a prostitute in Brazil, a coal-miner in Chile, etc.). K.B. Do have any favorite books about business that have influenced you? B.O. Regarding business books, a book that really inspired me was one of the books recommended to us during our marketing studies at RKC as it looks at business leadership that combines profit making with sustainability – that is Let My People Go Surfing by Yvon Chouinard. It is a book that should be read more than once to absorb the learnings from it. K.B. What is your motto? B.O. I can come up with no personal motto greater than the words given to us by God – “Love your neighbor as yourself.” It is very difficult to put into practice but keeping it in mind can help us to avoid selfishness and greed which are two things that drive injustice in our world and lead to unsustainable use of resources. This dramatic about-face has triggered an intense debate, and while there are certainly arguments supporting these decisions, a casual look at opinions in established business publications on the web indicates that there are far more against it. Many criticize both companies for penalizing workers for an increasingly faulty business model. A flexible work scenario, they argue, is not the problem. I find this debate especially interesting given my experience with Robert Kennedy College that offers the opportunity for what can be called a Results Only Learning Environment: you get out of it what you put into it. What do you think? Is a flexible, work-from-home scenario a liability or a benefit? Has your experience with remote study at RKC changed your thinking on the issue?